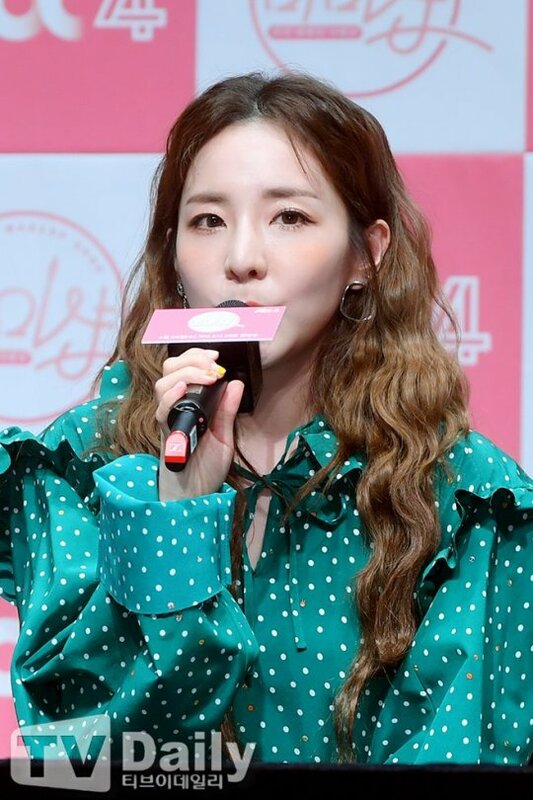 Pretty Sandara Park for JTBC4’s Mimi Shop Press Conference - On 25th April, Dara came to JTBC4`s Mimi Shop Press Conference. The show is about make up like Get It Beaty Onstyle. Dara pairing with another celebrities such as Tony An, Shin So Yul, Cheetah, and Kim Jin Kyung. The show will be aired premier on April 25 at 8:30 PM KST. 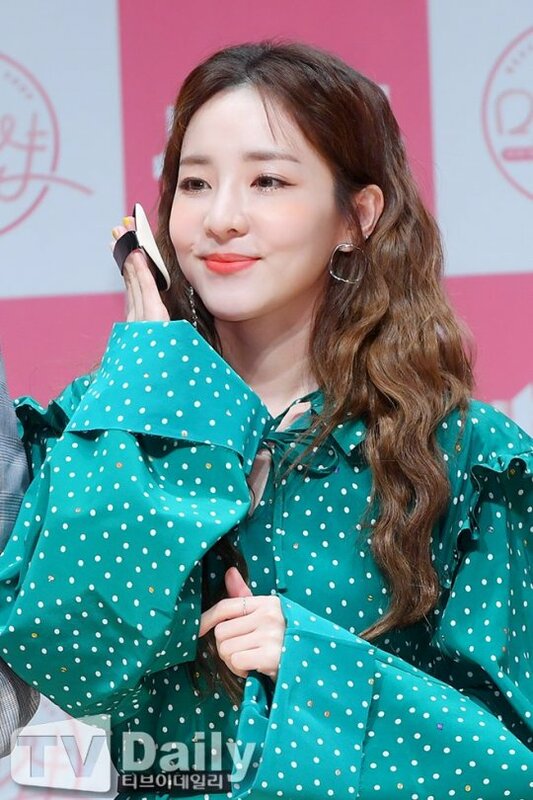 In press-con, Dara looks so young while using polcadot dress in tosca colour. Her wavy hair makes her even prettier in that dress. Dara waving at the camera while smiling makes everyone who see Dara will be melting. Her orange lips makes her face look so fresh and natural.